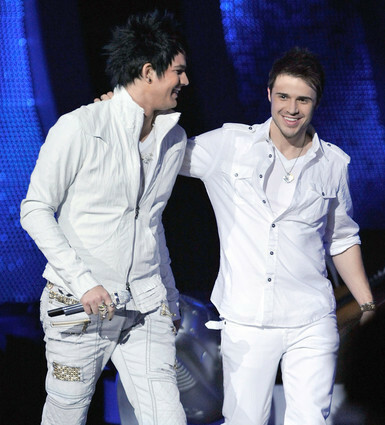 Adam Lambert and Kris Allen. American Idol Season 8 Finale. Wallpaper and background images in the American Idol club tagged: american idol season 8 adam lambert kris allen finale. This American Idol photo contains geschäftsanzug, business-anzug, gut gekleidete person, anzug, hosenanzug, and pantsuit. There might also be anzug and anzug der kleidung.